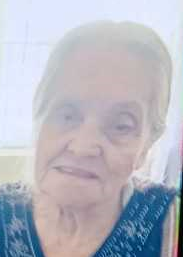 Mariana left her residence on foot in the area of North 19th Avenue and West Tonto Lane in Phoenix, Arizona on 23 March 2019 between 5:30pm and 6:00pm. Mariana may appear confused/disoriented due to memory loss. She recently moved to the Phoenix area.